The 1960s was a boom time for Ford UK. The economy was growing and Ford realised it needed a family saloon that had mass market appeal. Plus it had to be cheap to build and economical to run. Project Archbishop was born and was lead by chief designer Roy Brown Jnr. 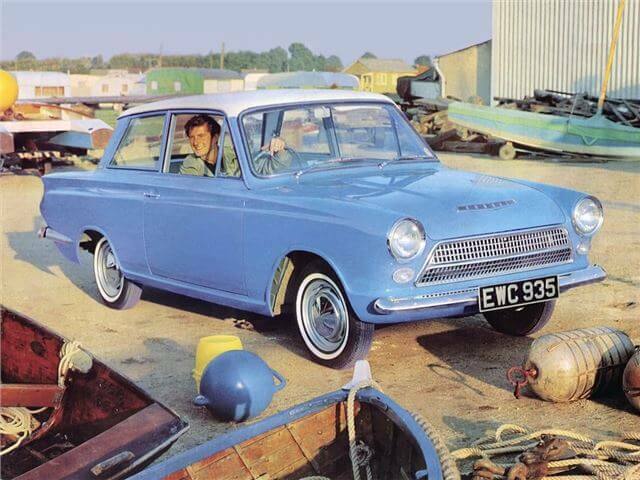 The Ford Cortina, initially called the Consul Cortina made its debut in 1962 at the London Motor Show. It featured a 1,198cc engine which was based on the popular Ford Anglia unit. The enlarged engine produced 50BHP and was mated to a four speed, all synchromesh gearbox. The 2 door Consul Cortina also appealed to the fleet market of the time. 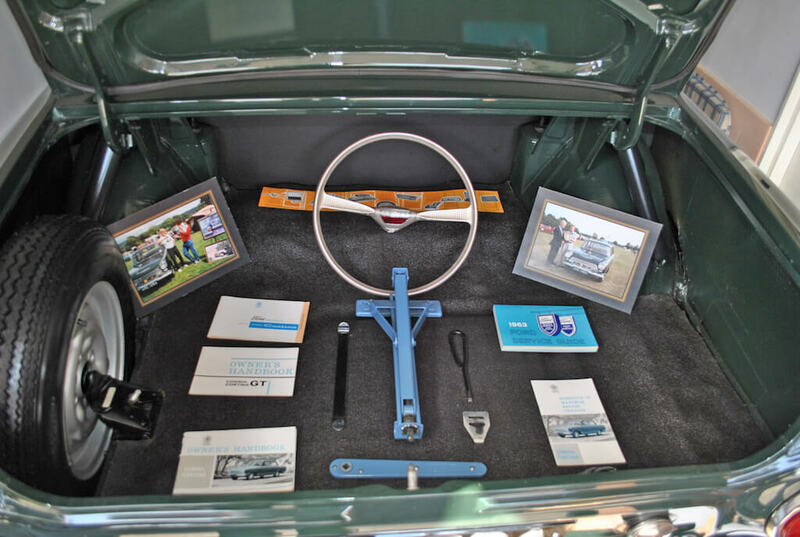 Named after the Italian Cortina d’Ampezzo ski resort, the rear wheel drive saloon proved a big hit on its debut, combining affordability with a spacious and practical interior. Various body styles were offered from four to two door saloons to a roomy estate model. 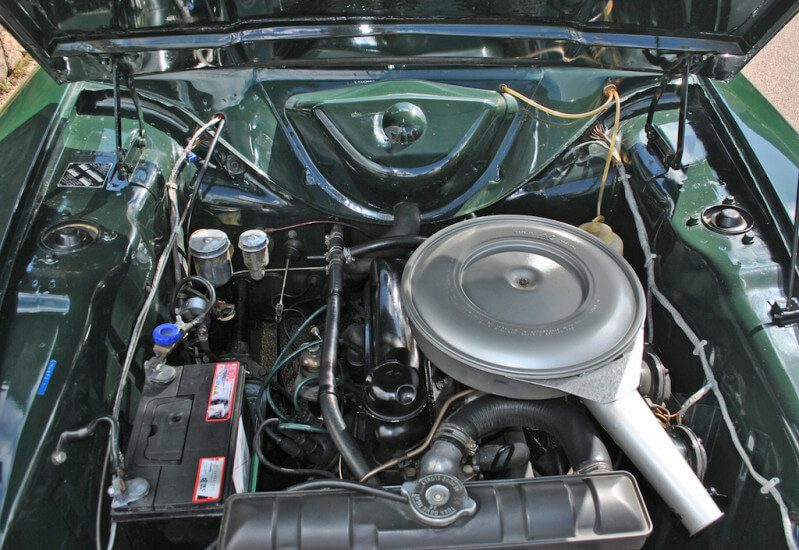 In 1963 it got a performance upgrade with the new 1,498cc 60 BHP engine. A tuned 78BHP version was also available in the Cortina 1500 Super which, along with a lowered suspension, really gave the saloon some sporting pretenses. And this was later topped with the introduction of the 109BHP Lotus Cortina, which turned the family saloon into a racing legend. The Ford Cortina went through five revisions and stayed in production until 1982 when it was replaced by the Ford Sierra. There has been a big rise in the numbers of classic Fords on the auction circuit recently. While the market has swung towards 80s performance Fords like the Capri, every so often another Ford model comes along that reminds us where the “Fast Ford” came from. And that is what attracted us to this 1963 Ford Cortina Mk1. The Mk1 Cortina design is classic 1960s and offered understated American styling to the British market. Built in 1963 this Ford Cortina 1500 GT has covered a warranted 19,244 miles from new. That’s approximately one mile a day since it rolled off the Dagenham factory floor 53 years ago. Its quite incredible when you think about it. The interior is very retro and looks to be in mint condition. Described as being in concours condition, this 1500 GT is the high performance 78BHP model and could well be one of the best early model 1500 GT’s in the country. The car is said to have had just two owners since 1963 and judging by its concours wins and the photos, this Cortina is a bit special. The Goodwood Green paint is described as being in superb condition and the interior looks spotless. A period correct Les Leston Grand Prix steering wheel has been fitted but the original wheel is included with the car. Also included are the original jack, tools and original owners handbook pack. Another item worth noting is the period rev counter fitted just to the left of the steering wheel, an option available on the 1500 GT. Ford were clearly concerned that new Cortina GT owners might get a bit carried away with its lively 78BHP engine, hence putting the rev counter in a hard to miss location. 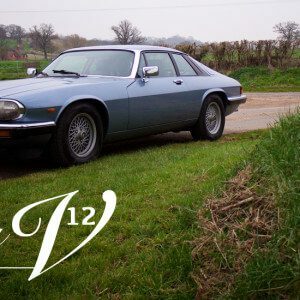 The 78BHP engine was very quick in its day and still performs well today. 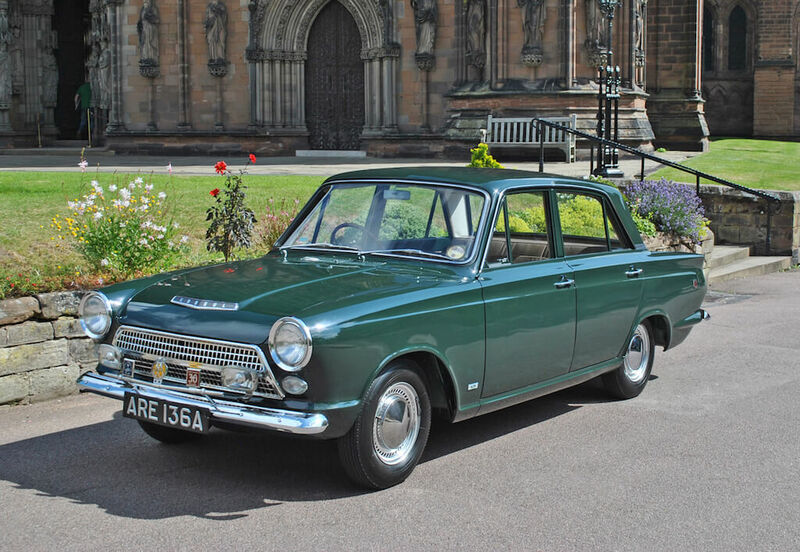 The Ford Cortina was a game changer that transformed the UK family saloon market. It got the masses moving and it didn’t cost a fortune. 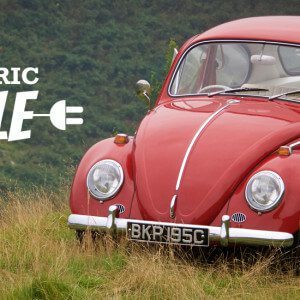 Plus it was practical and reliable, ticking the boxes for many a British family in the 1960s. And for many modern day classic car fans of a certain age, it was the car their parents or grandparents drove. Which has helped increase their nostalgia appeal. Its all about the details. Original and hard to find items like these add so much value to a classic. 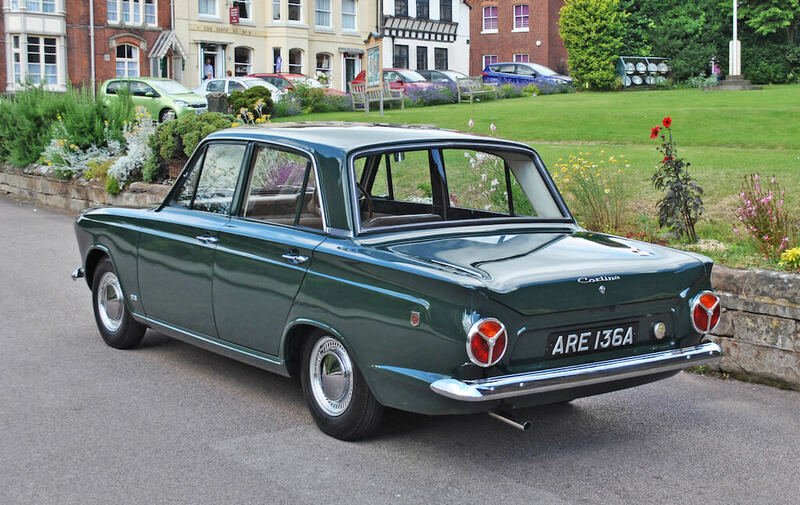 This Ford Cortina 1500 GT is one of the nicest we have seen in a long time. We love the dark Goodwood Green paint which contrasts well against the grey/cream coloured vinyl trim. We think the dashboard is super cool and love how the wide strip speedo and the rev counter don’t match, hinting at the cars modified, sporting pedigree. 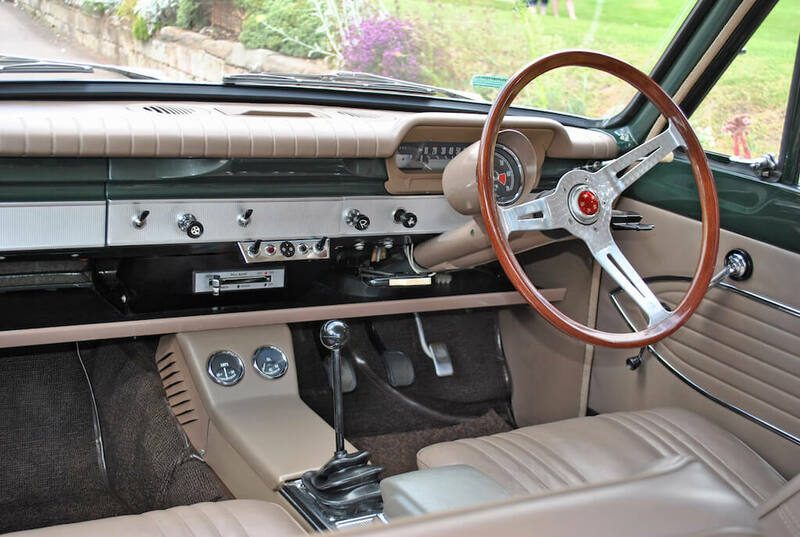 And the period after market steering wheel adds a touch of sophistication over the the standard Consul Cortina wheel. Low mile early model Cortina’s in concours condition rarely come to market which makes this one a very tempting proposition for the classic Ford enthusiast. With an auction estimate of between £24,000 – £28,000 this is a rare chance to acquire one of Fords first sporting saloons. We anticipate there will be a lot of interest in this one. More details on this Ford Cortina 1500 GT can be found on Historics at Brooklands Auctions website.